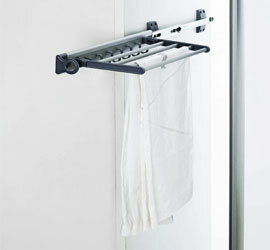 Base Motion Towel Rack with Pull Out Rail. Fits in 15" wide Frame Cabinet OR 12" wide Frameless Cabinet. Copyright © 2019 Cabinet Motion. All rights reserved.